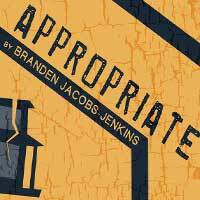 "...During intermission, there was some discussion in the audience whether you pronounce the title of the play as the adjective or the verb. It actually fits in either way. However, it doesn’t matter how you pronounce “Appropriate.” It is definitely an opportune allocation of your time. Try not to miss it."